Civil engineering is a broad area of science that encompasses the design and construction of various structures meant to directly improve the human living conditions in a given area. Civil engineers routinely undertake large-scale projects involving the design of commercial structures of enormous economic importance, such as roads, railroads, bridges, harbors, and water reservoirs. Given the massive economic implications of the aforementioned structures, and their role in the advancement of human civilization, it should not come as a surprise that civil engineering is the second oldest branch of engineering science, preceded only by military engineering. In fact, the breadth of this field is so big that, both professionally and academically, it has now been split into multiple sub-disciplines that concentrate on unique features of different civil structures. At the same time, regardless of whether one decides to specialize in coastal, transportation, or earthquake engineering, every civil engineer is required to know and be able to utilize several core scientific concepts that have helped the human race advance since the construction of the first building. Learn the Past. Understand the Present. Build the Future. Metaphorically, civil engineering is remarkably similar to one of the field’s most famous structures: the pyramid. In the same fashion as the pyramid, every subsequent level of our engineering knowledge required a strong foundation. Furthermore, learning the basic concepts and analyzing past errors is of utmost importance for future civil engineers. If modern-day engineers were to automatically jump into their desired specialties, engineering disasters like the St. Francis Dam flooding in 1928, the Hyatt Regency Hotel walkway collapse in 1981, or the extremely devastating Chernobyl nuclear power plant meltdown would be a lot more common. Consequently, both civil and military engineers follow the centuries-old idea of ‘learning to walk, before trying to run,’ and every civil engineering program at any university in the United States begins by teaching the basic engineering concepts. Galileo, dubbed the “father of modern science” and considered as one of the most famous astronomers of all time, once said that “math is the language with which God wrote the universe.” Mathematics, a field that is both abstract and remarkably practical, is the mother and the father of all scientific fields, including civil engineering. Consequently, every civil engineer must learn and understand basic, abstract, and complex algebra, principles of calculus that allow for analytical calculations of change over time and space, advanced geometry, and statistical analysis. All prospective civil engineers must learn how to solve complex differential equations, even though they can now be solved quite easily using modern computing. If mathematics is the parent of all scientific areas, then physics is its first-born child. The study of physics plays an important role in civil engineering, and many experts in both fields look at engineering as simply the “applied” version of concepts discovered and studied by pure physicists. Nevertheless, engineering educators in the United States understand that physics is the foundation of the discipline, and first and second year students are required to enroll in physics courses. Thermodynamics – the study of energy, temperature and heat transfer during all types of reactions and mechanical processes. Examples: dams, manufacturing centers, railway systems. Fluid dynamics – the study of fluid motion that includes both aerodynamics and hydrodynamics. Examples: bridges, harbors, dams, coastal structures. Kinematics – the study of motion of rigid bodies that takes into account gravitational and various frictional forces. Examples: roads, railways, movable bridges. Modern physics – the more in-depth study of nuclear reactions, effects of relativistic principles, design and assembly at atomic-level. Examples: nuclear power plants, integrated circuit manufacturing plants, international space stations. Many large-scale bridges in the United States, such as the Golden Gate Bridge in San Francisco or the Verrazano-Narrows Bridge in New York City, are suspension bridges. However, many drivers that find themselves on one of these bridges often wonder about the reason for the enormous suspension cables hanging and seemingly weighing down the bridge. In fact, these suspension cables are equally, or perhaps even more important than the hard steel structure of the bridge itself. The specific concept at play here is known as tension, which falls under the physical field of kinematics. In simplified terms, whenever any mass is present on the bridge itself – in the form of hundreds of vehicles and pedestrians – the downward force that might otherwise lead to structural damage is instead converted into the force of tension evenly distributed over the suspension cables. If a strong enough material is used for the suspension cables, suspension bridges can be extremely long, with the longest suspension bridge – the Akashi Kaikyo Bridge in Japan – having a total length of almost two-and-a-half miles. In addition to the knowledge of abstract mathematics and conceptual physics, civil engineers must have the ability to apply their knowledge to real-life situations. In other words, it is one thing to know the concepts that explain why a window may shatter when hit with a large enough force. However, locating all critical points of a structure based on its future real-life location, knowing exactly how much force can be resisted by materials on hand, and coming up with a design that solves these issues is what separates civil engineers from theoretical scientists. As a result, all students enrolled in undergraduate civil engineering programs spend considerable time studying the basics of structural analysis and material sciences. Additionally, the in-depth analysis typically takes place after the individual has chosen his or her future sub-discipline of civil engineering and, in some cases, may require graduate study. Steel has been one of the most important and most widely used materials in the history of human engineering, and has been used in the construction of rails, residential houses, skyscrapers, bridges, and many other structures. However, steel does not occur naturally, but instead is now refined from iron using a metallurgic process called basic oxygen steelmaking (BOS). The BOS, which in itself is an improved version of the Bessemer process, involves blowing pure oxygen through molten iron ore, which in turn increases the carbon concentration in the iron sample. Although the amount of “infused” carbon is very small (often less than 2%), it still has a massive effect on the molecular structure of the original iron ore. When the “infused” iron is cooled quickly, the carbon atoms in the crystal lattice of iron cannot escape, and instead act as binding agents, increasing the tensile strength and the structural integrity of the material. 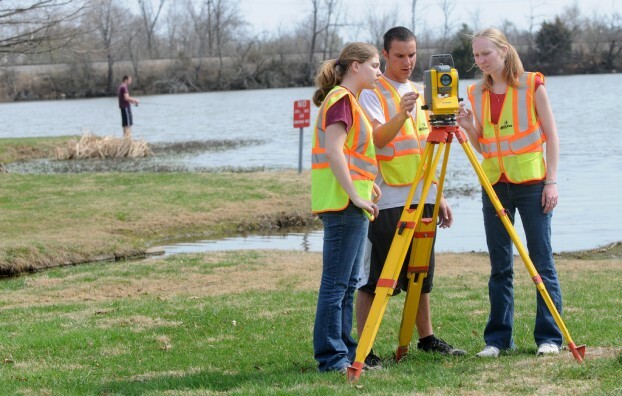 Civil engineering is a broad, but important field of study. While the field is continuously evolving and becoming more reliant on modern computers, all potential engineers are required to learn the basic concepts that have helped humans construct the world we live in today. The aforementioned core concepts represent only the tip of the iceberg of knowledge that must be acquired by all individuals hoping to become professional civil engineers in the future. Steel Production from Iron Ore, University of Illinois at Urbana-Champlain: Praire Research Institute. Ty Beckford writes on civil & structural engineering, construction, high-tech tools, real estate and other neat topics. For more info on civil and structural engineering Ty recommends that readers contact an EFI failure analysis engineer. Image credit goes to Missouri S&T.